But, it took me five years and this is how I found out today that I won an honorable mention five years ago in Prix De La Photographie Paris in 2012. Yes, 2012! After stumbling on a link yesterday that took me to a collection of photographs I submitted to the competition in 2012, I noticed that the URL had the word “winners” in it. I wrote to PX3 to inquire about it. After a couple of e-mail exchanges, I was told the photographs were under the winners’ folder because I won a prize, an honorable mention. After the competition results were announced I did not receive any notice nor did I see my name on their website. It may simply be my missing the e-mail, or it going to the junk folder and escaping my attention. On the website, I might not have looked with sufficient care. In any case, I am pleased to have won an HM in such a prestigious international contest even though it took me five years to find out! Better late than never! Although I might have missed an exhibit opportunity in 2012. 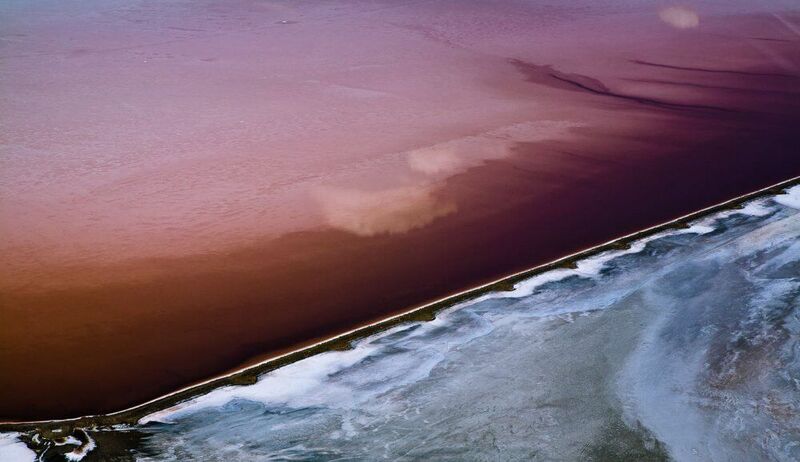 Below is a little more information on the PX3, the jury, and the small collection “The Fields of Color” which I photographed over the Great Salt Lake during the helicopter ride that Jan and Elif arranged as a birthday gift for me. 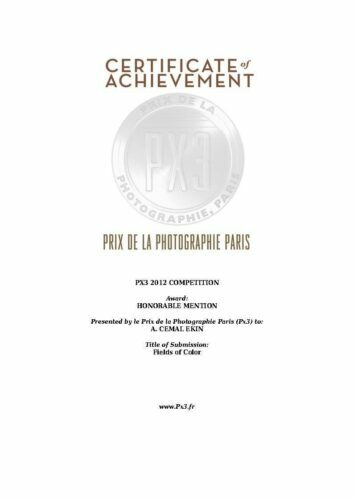 The “Prix de Ia Photographie Paris” (PX3) strives to promote the appreciation of photography, to discover emerging talent, and introduce photographers from around the world to the artistic community of Paris. Winning photographs from this competition are exhibited in a high-profile gallery in Paris and published in the high-quality, full-color PX3 Annual Book. PX3 is juried by top international decision-makers in the photography industry: Carol Johnson, Curator of Photography of Library of Congress, Washington D.C.; Gilles Raynaldy, Director of Purpose, Paris; Viviene Esders, Expert pres la Cour d’Appel de Paris; Mark Heflin, Director of American Illustration + American Photography, New York; Sara Rumens, Lifestyle Photo Editor of Grazia Magazine, London; Françoise Paviot, Director of Galerie Françoise Paviot, Paris; Chrisitine Oilier, Art Director of Filles du Calvaire, Paris; Natalie Johnson, Features Editor of Digital Photographer Magazine, London; Natalie Belayche, Director of Visual Delight, Paris; Kenan Aktulun, VP/Creative Director of Digitas, New York; Chiara Mariani, Photo Editor of Corriere della Sera Magazine, Italy; Arnaud Adida, Director of Acte 2 Gallery/Agency, Paris; Jeannette Mariani, Director of 13 Sevigne Gallery, Paris; Bernard Utudjian, Director of Galerie Polaris, Paris; Agnes Voltz, Director of Chambre Avec Vues, Paris; and Alice Gabriner, World Picture Editor of Time Magazine, New York. Great to get public recognition from a prestigious organization. Well, maybe not too public…. 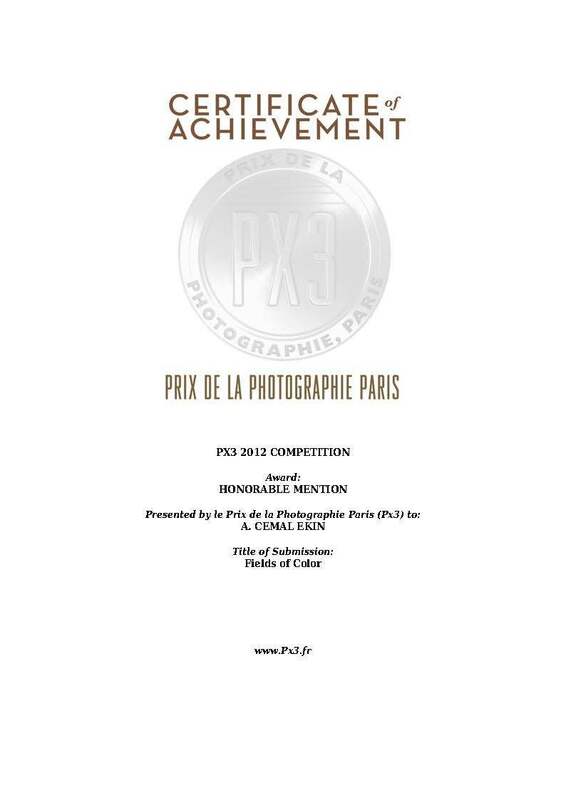 Prix De La Photographic Paris is certainly not very public in RI Mike, you are right. But, in the grand scheme of things, it ain’t small bananas! Thanks for stopping by Mike. Congratulations Cemal……fields of color lives up to its title. Recognition for your composition and vision is, imho, warranted. Love this collection. Thanks, Jim, five years in the making! Congratulations, Cemal! That is a beautiful collection from the Salt Lake. I’ve seen that, but only from the ground. The air is the way to go! Thank you, Laura. It was a fine discovery, totally serendipitous. Congrats Cemal, Aptly titled “better late than never”, it’s great that your creative vision was rewarded and that you now know. Thanks, Mike, see you Thursday afternoon. Cemal-congratulations! Loved this collection the first time I saw it. Well deserved recognition. It is my carelessness that kept this news from me for five years Sal. It is a fine collection indeed. Really compelling and imaginative images very deserving of high accolades. Nice to see the collection got the nod from an impressive panel. Thanks for sharing the accomplishment. Thanks, Don. This is a well-seasoned, aged, award announcement. I am indeed very pleased with the HM. Congratulations, Cemal. Even though you do not need it, still a very nice occasion. Thanks, Haluk and Oscar! In all likelihood, I dropped the ball, but caught it now! I made sure I posted the Bosphorus Art Newspaper post right away! Greetings from Amherst where I have a printing workshop tomorrow morning. I won’t wait 5 years to congratulate you. These images are beautiful This award serves as a testimony to your creativity and imagination as a photographer.. Thank you, Frank. It is like finding a valuable you lost five years later, a new source of joy! Bravo….congratulations 5 years late, but well deserved. I think in my case Px3 turned out to be “Procrastinate, Postpone, Pending” but I am glad that I found out! Thanks for stopping by Steve.